Sometimes there are things clowns can teach us about humanity. For Kim Palchikoff, it was a skit by Russian clown Slava Polunin that reminded her of the differences in the way people greet each other in Russia and the U.S.
Long before the Berlin Wall came down, Moscow’s cheeks apparently came up. Just for the sake of peace and goodwill I had a pen pal for a few years, back in the Soviet Union when I was a college student. We corresponded rarely, because few Russians at the time spoke English. After college I moved to Leningrad to teach ESL. I called him up but I actually spoke to his wife instead of him, because she knew English. We talked for a while, then said goodbye. But she didn’t say goodbye, actually. She said something else. It was weird to hear it coming from a woman, and from a stranger I’d never met. As we ended our conversation, she said, “Kiss you.” It took me a while and many Russian kisses on the cheek later to figure out that what she really meant was, ”I’m sending you an imaginary kiss on the cheek,” because that’s how Russians say goodbye a lot of the time, and hello, as well, by the way. Men, women, friends, anyone you happen to barely know, even doctors, dentists, people you just met, they often kiss you on the cheek when you first meet. That’s just the way it is. In Putin-land there can be one, two, sometimes three kisses on the cheeks, like in Latin America, Spain, Italy, where everyone is kissing each other on the face up front and personal. I like it. It’s a way of saying hello, and goodbye, as well. But when it comes to goodbyes, what it means is a, “Take care…..” They write it in e-mails, and say it on the phone. Sometimes they say, “Obnimayu,” which means, “I hug you.” It’s normal. It’s cool. Beats life back in America, where it’s handshake country. No cheeks get involved, which is really too bad, because I think the cheek-kiss thing is a nice tradition. And then the Russians get into the sweet talking words, which is also groovy. Honestly, I can say unabashedly that I really dig it when my dentist calls me honey, and it’s not because he’s confusing me with his wife. He’s just a kind and caring man who from the get-go spent a good half hour making my acquaintance the first time we met, before he took his god-awful tools and started poking around my teeth. We talked about my life during those thirty minutes, there were a few cases of “honey” and “sweetheart” thrown in and I learned that he’s very grandfatherly, with a penchant for calling me other names from the 50s, like “My dear.” He’s a rare American dentist. For all the complaints about Russia these days, how they address each other is not one of them. When they’re not kissing cheeks, it’s not uncommon to hear words like “Moya krasavitsa” (My beautiful), “Moya lyubimaya,” (my love). They say things like “How are you today, my dear?” Reminds me of my Grandma. In fact I love my dentist, because he makes me feel comforted and at ease with his sweet-talking mouth. He has a penchant for saying things like, “Don’t worry, sweetie, this will only be uncomfortable for a few seconds,” which you know is a fancy way of saying it’s really going to hurt. But because you really like the guy, you forgive him at the end. No, I’m not his mistress, and if I were, I’d hope for a better, more romantic, wet and sloppy kind of hello and goodbye. But the only wetness coming out of my mouth is saliva I’m supposed to spit in his mini-sink. Про Исламское государство мусульманских фундаменталистов, отрезающих головы американским гражданам, он предпочел в этот раз даже не упомянуть. Kiss. Years later, I still recall the shock of my pen pal’s wife sending a phone kiss to me, a total stranger, someone she didn’t know. Well now, I send them to her and everyone else. Back in America, I don’t really like the handshake tradition. Seems kind of cold and too businesslike. I guess that’s the point. It’s how we do business. 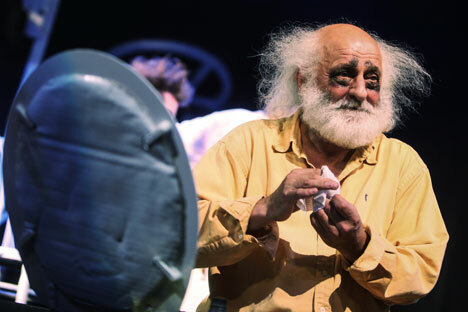 There’s a famous clown in Russia that I like named Slava Polunin. He has a skit involving gigantic phones that has the kiss thing going on. He is not making love to anyone on his oversized, plastic, Ma Bell props. He’s just sending out some warm, friendly, “Be-well-take-it-easy-I-like-you-hellos-goodbyes,” that take me back to my winter, white, Mother Russia, reminding me of the humanness in us all.